Water data and information are essential to support efforts to understand, manage, allocate, utilize and protect water resources. The linkages between Water Information Systems and needs of decision makers are complex, but can be encapsulated in a Driving Force (Policy Needs) – Monitoring – Data Management – Reporting framework. The rapid development in water policy reforms in many sectors and growing emphasis on demand-side policy solutions to water resources management has created an information imbalance. This imbalance can be characterised in terms of an inverted pyramid with implementation of many water policy initiatives supported by little data and information, especially related to economic and financial elements, to help guide decision makers toward more effective and efficient water resources management strategies. Additionally, as stress and demands on water systems increase and water becomes a more valued resource, this tends to increase the value of water information both for water providers and users. Nevertheless, many countries are reporting that the capacity to collect water information is being undermined by a lack of resources, while expertise to collect, analyse and interpret water data for decision makers is being lost. Finally, the impact of climate change on hydrological regimes represents a key potential stress on water systems. This issue could be the catalyst for adapting policies to provide more efficient and effective use and management of water resources and advance institutional and governance reforms in the water sector. 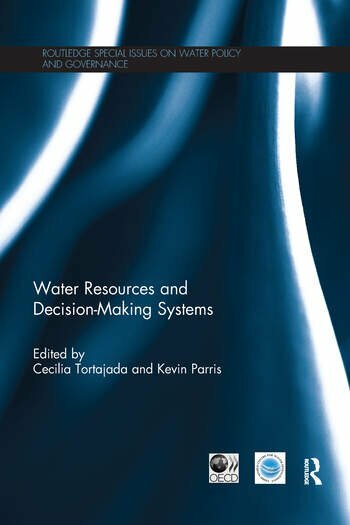 This book is based on a special issue of the International Journal of Water Resources Development. Cecilia Tortajada is President of the Third World Centre for Water Management, working on public policy aspects of natural resources management, especially water. Kevin Parris works on policy analysis at the OECD, with particular focus on agri-environmental issues, including sustainable management of water in agriculture and monitoring environmental performance.